In just moments you could be acquiring a book that may change your life completely. We all go through losses... and we can transform them. In this book you will find the inspiration to use those resources we all have inside of us... 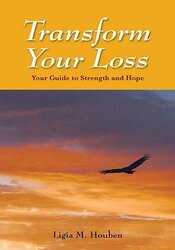 This books contains the eleven principles of transformation, which is a system that can help you transform your loss and change your life. It also has 60 stories of different losses, including the author's story, with a purpose of bringing you a message of possibility... a message of hope.